It's Christmas something, the most wonderful time and moment I'd guess year, best season for kindling the fire of love, friendship and hospitality among loved ones. 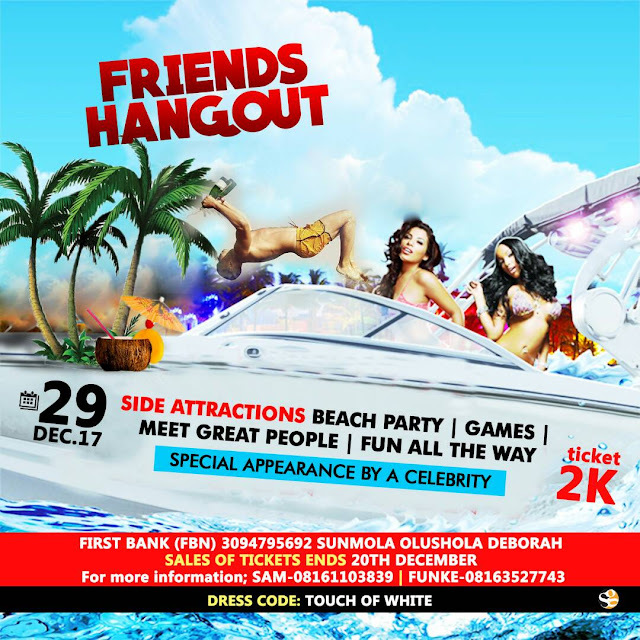 In a bid to make your christmas a memorable one, I present to you "FRIENDS HANGOUT". "Singles be ready to mingle". We've got you covered!!! DM for enquires and sponsorship; Call/Whatsapp: 08185332489 Or call the numbers indicated below the image..